The App Store. The most important feature that came with the iPhone 3G was the App Store. While no one knew it at the time, the ability for developers to create native third-party apps would transform the iPhone from a nice, expensive smartphone into a ubiquitous, must-have device that helped revolutionize the way people use computers, communicate, and get work done. 3G. The second major improvement in the device was right there in its name: support for 3G wireless networks. 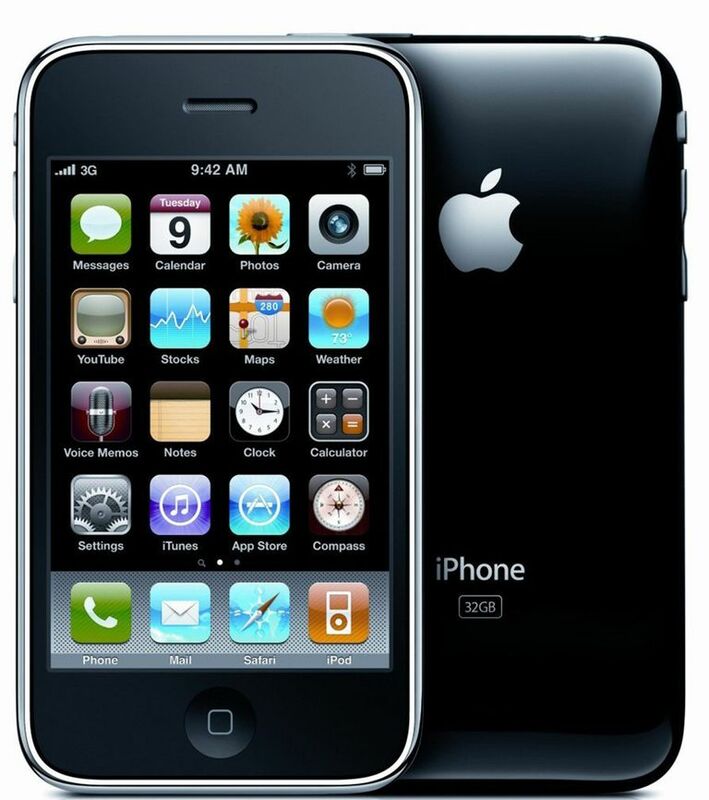 The original iPhone only supported AT&T's EDGE network; 3G support made the iPhone 3G's cellular Internet connection about twice as fast as its predecessor's. GPS. Lastly, the iPhone 3G introduced GPS support to the iPhone, unlocking the range of location-aware apps and services that users take for granted now, including mapping and driving apps and tools to find nearby restaurants, movies, stores, and more. With this release, Apple also changes the device's price: The iPhone 3G was significantly less expensive than the original model. The 8 GB iPhone 3G debuted at $199, while the 16 GB model was $299. The 16 GB version of the original iPhone cost $399. We gave the phone 4.5 stars, calling it "a solid jump past the first-generation iPhone." Engadget said, "you're going to have a hard time finding a better device for two hundred bucks — or maybe even for any price." AnandTech said it was "the best consumer smartphone available." CNET gave it 4 stars, saying "the iPhone 3G is a big improvement over the original model." Those positive assessments were borne out in the sales of the device. In January 2008, a few months before the phone was released, Apple said that it had sold about 3.8 million iPhones. By January 2009, six months after the iPhone 3G was released, that figure had skyrocketed to 17.3 million iPhones. In January 2010, the iPhone 3G had been replaced by the iPhone 3GS about 6 months earlier, but the iPhone had tallied all-time sales of 42.4 million units. While a good chunk of those 42.4 million phones were certainly original and 3GS models, it was the 3G that helped accelerate iPhone sales to their historic pace.